What is the difference between "Venture Center" and "Entrepreneurship Development Center"? The official (registered with the Registrar of Companies) name of the technology business incubator at NCL Innovation Park is "Entrepreneurship Development Center". "Venture Center" is the name the Entrepreneurship Development Center is commonly known as. The Entrepreneurship Development Center has registered for a trademark for the name "Venture Center". How is Entrepreneurship Development Center structured? Entrepreneurship Development Center is a private limited company which is registered under Section 25 of the (Indian) Companies Act, 1956. By virtue of being registered under Section 25 of the Companies Act, Entrepreneurship Development Center is a non-profit organization. Is Entrepreneurship Development Center a non-profit entity? Entrepreneurship Development Center is a Section 25 company - that is a non-profit company. A non-profit company can make surpluses but the surplus is redirected to the goals of the Company and not distributed to the "shareholders" of the company. Who are the "shareholders" of the company? Entrepreneurship Development Center is a private limited company limited by guarantee and not shares. Therefore, it does not have any shareholders. It only has "members" who have provided a guarantee of a limited amount while setting up the company. How is Venture Center connected to CSIR-NCL? 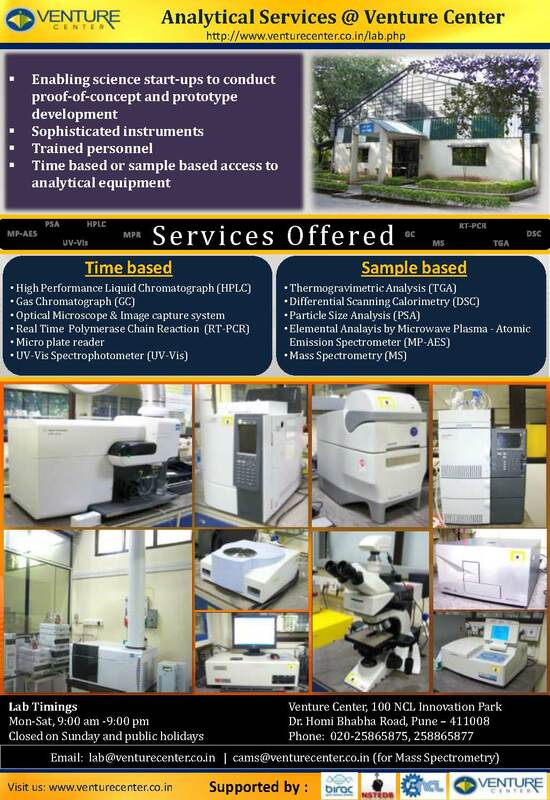 The Venture Center is an initiative of the CSIR-NCL. The Venture Center is a technology business incubator created under the CSIR scheme titled "Scheme for setting up incubation centers in CSIR laboratories" (OM No. 4/CMG/2006-TNBD dated 16 June 2006; scheme approved by the 166th meeting of the GB of CSIR). Approval for the proposal from NCL under this scheme was accorded by DG-CSIR vide letter no 4/CMG/2006-TNBD dated 3 August 2006. As per the Memorandum of Association of the Company, the Director of NCL shall be the ex-officio Chairperson of Venture Center. In the event of dissolution of Venture Center, all its assets shall be transferred to CSIR-NCL. 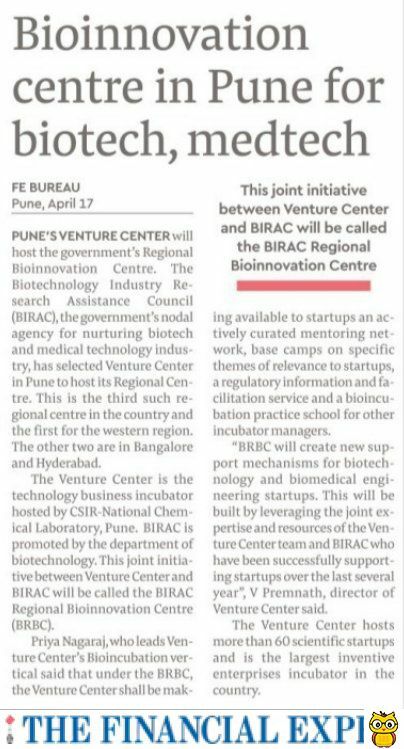 The Venture Center was created following a formal agreement between CSIR-NCL and DST-NSTEDB, Ministry of Science and Technology, Government of India for creation of the incubator under the TBI scheme of DST. Who governs the Venture Center? The Board of Directors of Venture Center governs Venture Center. What accords the Venture Center with the status of a Technology Business Incubator? The Government of India has provided special privileges to Technology Business Incubators and their incubatees in order to promote technology based business and entrepreneurship. The Venture Center enjoys those privileges. The Venture Center is an approved technology business incubator supported and recognized by the Department of Science and Technology - National Science and Technology Entrepreneurship Development Board, Government of India. Which are Government agencies that interact with Venture Center?